A gentle but powerful cleanser that visibly lightens the skin, for a lasting glow. Our unique solution removes make-up and cleanses the skin from any residue or impurities, leaving your face pure, clean and refreshed. Not only that, but this advanced cleanser finishes by moisturizing your skin to keep it smooth and hydrated. Soothing aloe vera and avocado oils make this a mild, non-irritating formula that is naturally kind to your skin. 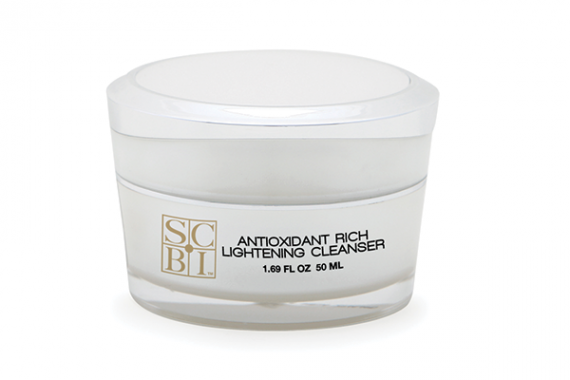 Antioxidant Lightening Cleanser Protocol – Apply to the face in a circular motion. Remove from the skin while gently scrubbing with a damp face cloth or sponge and rinse thoroughly. Removes makeup, dirt, pollution and impurities from the skin’s surface.